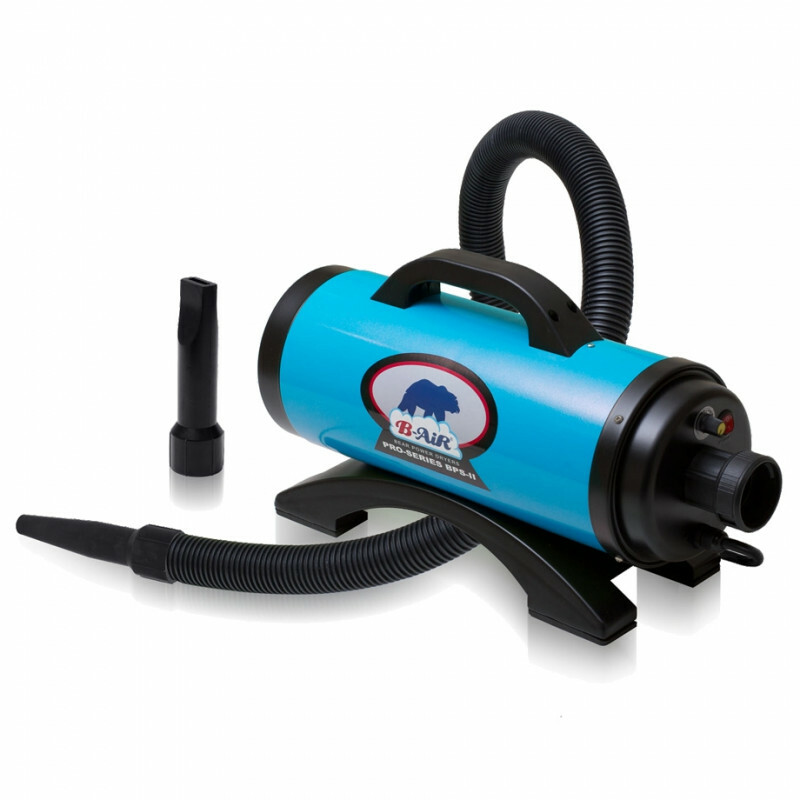 ETL certified The B-Air Bear Pro BPS-ll dog & other large animal drying air blower is a very powerful, C-ETL-US certified blower. It is one of the most powerful pet & inflatable blowers we have to offer. To move larger volumes of air, please take a look at our air moving dryers, and our axial flood dryers. 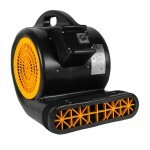 As an updated version of the BPD-2, this dog drying blower is a safe and unique unit that offers excellent drying power and tremendous value. It features a 12-foot hose and 2 hose attachments for effective drying on different breeds of dogs and other animals. A washable filter helps extend the life of the blower, and keep it free of pet hair for maximum performance. Powerful double motor design and high impact ABS body make it extremely durable in any situation. Variable speed blowers allows multiple speed drying for different sized dogs and animals. 12' hose with 2 interchangeable nozzles assist in drying. Easy lift handle and rubberized feet make it easy to move and put down in a set position. Washable filters help keep the unit free of pet hair. Also available in pink, lime green, purple. Please call 855.242.9030 to order the these color options. This is a review for the Dog & Animal Drying Air Blower.